NIA CHARLESTOWN NEVIS (SEPTEMBER 21, 2016) — Deputy Governor General His Honour Mr. Eustace John lent support to Nevis Premier Hon. Vance Amory’s call to Nevisians to celebrate the independence of St. Kitts and Nevis on a daily basis. 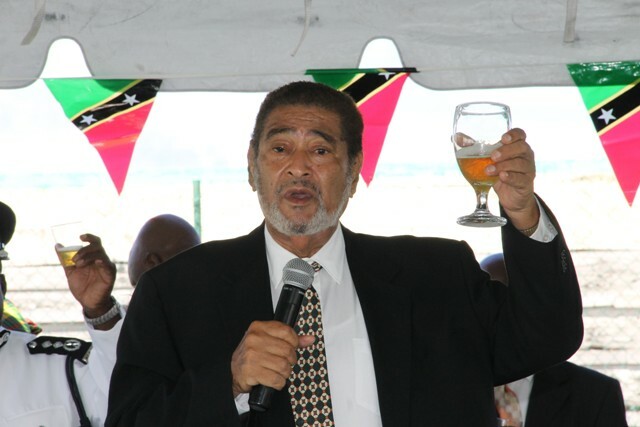 He was at the time delivering remarks at the Royal St. Christopher and Nevis Police Force Nevis Division’s annual Police Toast at the Cicely Grell Hull – Dora Stephens Netball Complex on September 19, 2016, after the Independence Day Parade and Awards Ceremony at the Elquemedo T. Willett Park. “You heard the premier’s message this morning, he wants us to have independence every day. Keep it in our hearts. Keep it in our minds. I fully agree with it, we just celebrate today but that spirit must always be within us,” he said. 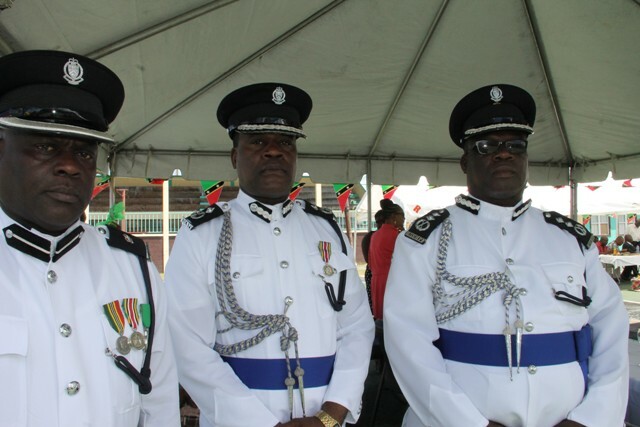 The Deputy Governor General also commended all those who participated in the parade, specifically the contingents from the police and the St. Kitts Nevis Defence Force Cadet Corps – Nevis Detachment (Nevis Cadet Corps). Meantime, Mr. Amory who was also present at the function, reiterated his call for the celebration the independence anniversary year-round. “This is not a one-day thing, it is an all-year-round thing and we need to ensure that we maintain that spirit of independence in ourselves. “There is another aspect to it, as we are looking at our country into the future and that we need to make sure that we set ourselves, that we can make St. Kitts and Nevis one of the best countries in the world. We are small enough. We have the physical beauty. People like the country when they come and we now need to capitalise on those things, by ourselves being welcoming and hospitable and being the gentlest and the kindest people in the western hemisphere. Our future depends on it because we would want to have people come to enjoy our country,” he said. Mr. Amory also made a clarion call to the young people attending both the island’s secondary schools to join the cadet corps since he observed the membership is seemingly declining. He said he would endeavour to do all he could to increase the membership. “I will have a word with the commanding officers, so that we can see how we can recruit more because the discipline of the cadet corps is paramount for the future discipline of our country, especially in the face of what we see happening. “We need an organisation like the cadet corps, like the Girls Brigade, like the Boys Brigade and so on, to instil the discipline so that they can transition into the protective forces, into the police force because the men who are here will not go on forever. So we would look at that aspect in the next year,” he said. 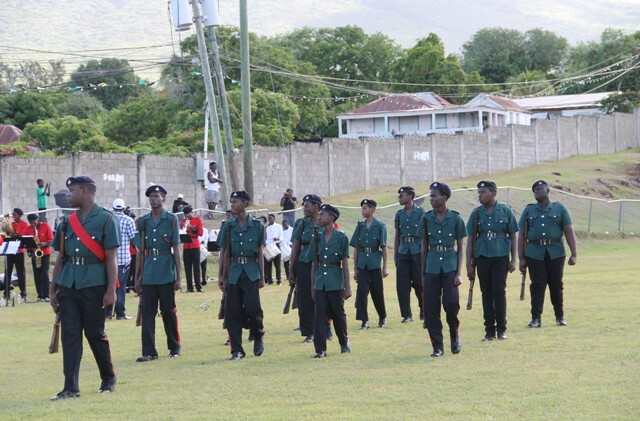 Mr. Amory commended the contingents from the cadet corps and the police who were on parade for their performance. As he raised a toast to the police, the Premier, also noted that they had been given very serious work to do to maintain law and order and to make the country safe again. 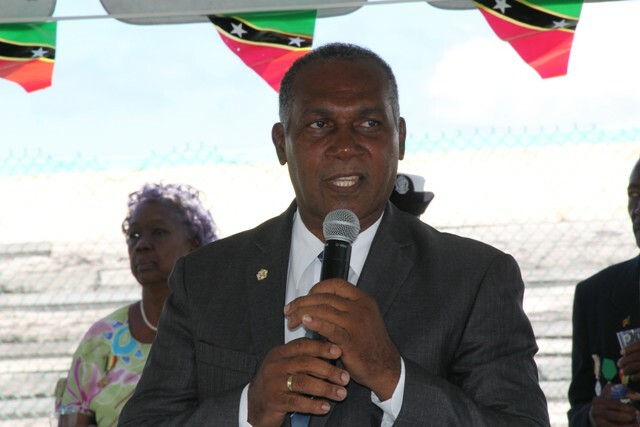 “Deputy commissioner, assistant commissioners and the superintendent and his staff here in Nevis, I think they are doing a good job and we need to commend them and support them because the work they do, makes us comfortable and we need to have that sense of safety and security in our homes and in just moving around our country,” he said. Other remarks also came from Deputy Commissioner Hilroy Brandy and officer in charge of the Nevis Division Superintendent Trevor Mills. Among others present were Premier Amory’s wife Mrs. Verni Amory and Justice Lorraine Williams, Resident Judge in the Eastern Caribbean Supreme Court-Nevis Circuit, and Ministers and officials in the Nevis Island Administration.